The Eagle Republic is a nation led by Chancellor Simmons on the continent of North America. The Eagle Republic's government is a Federal Republic with very conservative social policies. Economically, The Eagle Republic favors right wing policies. The official currency of The Eagle Republic is the Dollar. At 265 days old, The Eagle Republic is an old nation. The Eagle Republic has a population of 1,585,303 and a land area of 14,290.00 sq. miles. This gives it a national average population density of 110.94. Pollution in the nation is everywhere. The citizens' faith in the government is completely depleted with an approval rating of 0%. 04/24 03:07 am - The Eagle Republic had war declared by Gardil for the reason of "This, is, SPARTA!". 04/23 05:03 pm - The Eagle Republic had war declared by Omnitesloenigsegg for the reason of "I've waited a long time for this. Goodbye old leader.". 04/23 01:54 am - The Eagle Republic had war declared by Honoghr for the reason of "I will have vengeance.". 04/23 12:17 am - The Eagle Republic changed their Color Trade Bloc from Brown to Aqua. 04/22 10:28 pm - The Eagle Republic declared war on Keksville for the reason of "TAI Counter! peace out!". 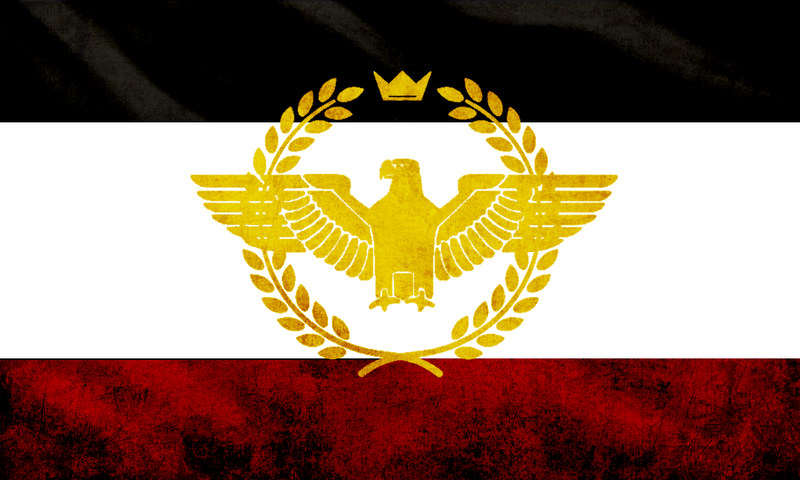 04/22 09:48 pm - The Eagle Republic created the alliance The American Imperium. 04/22 09:47 pm - The Eagle Republic left the alliance The Dixie Union. 04/10 02:05 pm - The Eagle Republic changed their Color Trade Bloc from Olive to Brown. 04/10 01:06 am - The Eagle Republic applied to join the alliance The Dixie Union. 04/10 01:06 am - The Eagle Republic left the alliance United Nations Space Command. 03/30 06:47 pm - founded a new city, Dunworth. 03/07 12:40 am - The Eagle Republic declared war on Zyphorious for the reason of "TDU counter. peace out with TDU". 03/06 09:57 pm - The Eagle Republic was embargoed by Omnitesloenigsegg. 03/06 09:18 pm - The Eagle Republic placed an embargo on Omnitesloenigsegg. 03/05 09:34 pm - The Eagle Republic declared war on ShadowClaw Kingdom for the reason of "TDU counter. peace out with TDU". 03/04 09:11 pm - The Eagle Republic declared war on Zyphorious for the reason of "TDU counter. peace out with TDU". 02/25 07:38 pm - The Eagle Republic had war declared by GMBOB for the reason of "Negotiate for peace". 02/25 04:06 pm - The Eagle Republic changed their Color Trade Bloc from Gray to Olive. 02/23 01:58 am - The Eagle Republic had war declared by Chinese communist union for the reason of "negotiate for peace". 02/21 06:03 pm - The Eagle Republic had war declared by United Nation for the reason of "PM to discuss peace". 02/21 07:26 am - The Eagle Republic had war declared by Helgan for the reason of "All your base are belong to us". 02/20 10:21 pm - The Eagle Republic created the alliance United Nations Space Command. 02/20 10:10 pm - The Eagle Republic left the alliance Brotherhood of the Clouds. 02/19 07:17 pm - The Eagle Republic changed their Color Trade Bloc from Red to White. 02/15 10:50 pm - The Eagle Republic applied to join the alliance Brotherhood of the Clouds. 02/15 10:50 pm - The Eagle Republic left the alliance The Dixie Union. 02/13 09:24 pm - The Eagle Republic changed their Color Trade Bloc from Yellow to Red. 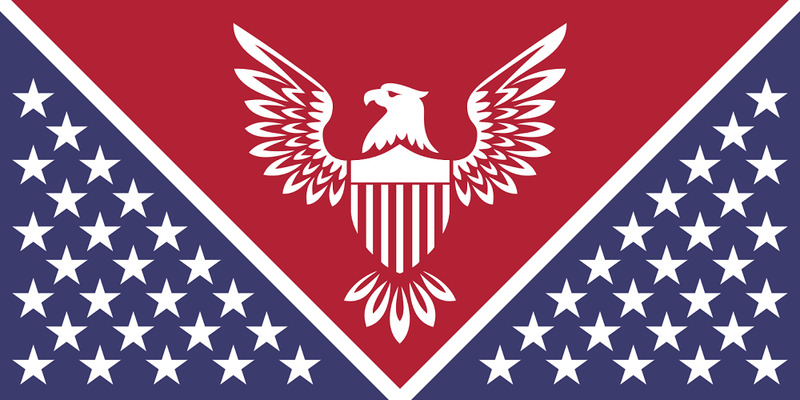 02/12 03:52 am - The Eagle Republic applied to join the alliance The Dixie Union. 02/12 03:52 am - The Eagle Republic left the alliance GodFury.